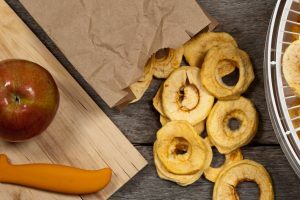 As an alternative to canning, dehydrating food has become a popular way to preserve food for an extended period of time. 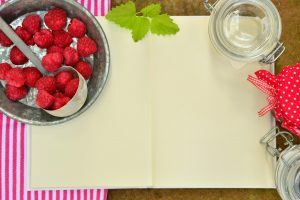 Dehydration is a very easy way to preserve foods and it is a method that has been used for many years, although it recently has become somewhat trendy. Actually, it is one of the oldest food preservation methods. Being very inexpensive, dehydrating foods produces food that has a reduced size and mass. This means that the food item will take up less space and there will be very little or no expense in storing the food. To dehydrate food, all the water content must be removed. This is how preservation is achieved. With no water present, microorganisms will not be able to grow, and as such, the shelf life of the food item is greatly lengthened. There are some foods that are easier to dry than others and some that may be regarded as more suitable for the drying process. Dehydration does not greatly affect the nutritional value of a food. In most instances however, the vitamin C content may be reduced since it is air soluble and may be lost from the cut surface of the item being dried. Otherwise, most nutrients will be of equal value in raw and dehydrated foods. 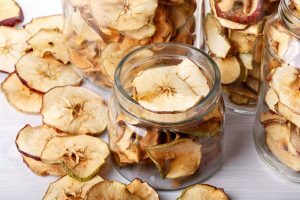 Today, one of the easiest ways to dehydrate foods is by using a dehydrator. Although foods can be dried in the oven or in the sun, those two methods usually take a much longer time than using the dehydrator. Consequently, more people lean towards purchasing a dehydrator. Moreover, it is more cost efficient to run a dehydrator than to use your oven for drying foods. There are so many brands, sizes and varying qualities of dehydrators available for purchase. It may get pretty confusing when you try to select one if you are not sure exactly what to look for. Basically all dehydrators will take roughly the same amount of time to dry foods. So, you do not need to look for a dehydrator that claims to be faster. If anything, you may want to beware of such an ad because if the food item dries too quickly, the exterior may be dry while moisture is still locked inside. The food items need to be dried evenly throughout at a quick yet steady pace. Budget: As always, you need to have an idea of how much you are willing to spend. If you decide on features before you decide on how much you can afford, you may end up selecting a dehydrator that is way above your financial reach. Once you decide on your budget, you will get a better idea of the product types that are available within your spending range. 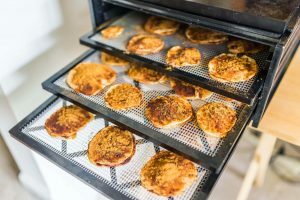 Heat and airflow: With shelf dehydrators, the airflow is usually pretty good because the shelves are evenly spaced and also heated evenly from the warming unit at the back. For stackable devices, you need to ensure that it is designed so that airflow and heat distribution are maximized. If heat and airflow are not distributed properly, you will end up with some foods being dried before others. Both factors are very crucial to the drying process. Access: You need to be able to access the drying trays very easily. Some trays are transparent so you can check on the drying process very easily as it occurs. If you use a stackable dehydrator with trays that you cannot see through, be prepared to lift all trays to get to the one that is at the very bottom. This may become quite bothersome, so think about it carefully. Versatility: Would you like to be able to store your dehydrator easily? Can it be used to do all the types of drying you would like? Check to make sure that you will get trays that can be used to dry fruits and herbs. Some trays have big holes in them and these food items will just fall through. Can the trays go in the dishwasher or will you have to wash them manually? Answer these questions and select your preferences. Features: Some dehydrators are equipped with a pre-set temperature while others have an adjustable thermostat. You therefore need to decide if you prefer having control over the temperature at which your food items dry. 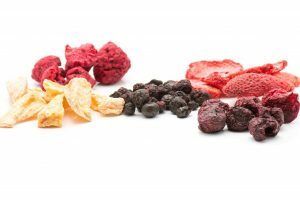 Type and quality of materials: When you are sure about the other features you would like to have in your dehydrator, you then need to decide what material you would prefer for its composition. Some are made of plastic while others can be composed of stainless steel. It all boils down to your preferences as both materials can be just as durable. If you are looking for a food dehydrator, the Waring Pro DHR30 Professional Dehydrator offers many desirable features that you may require. It has 5 drying trays that are stackable and interlocking and the package includes a fruit roll-up sheet. The temperature can be adjusted, so whether you need low, medium or high heat, you can gauge the amount of heat that you require for the drying process. The new fan system that it contains is designed to promote better airflow during the drying process. 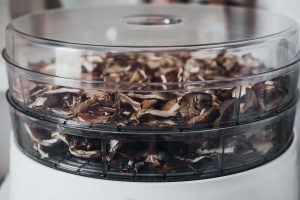 The Waring Pro DHR30 Professional Dehydrator is ideal for dehydrating beef for beef jerky as well as fruits and herbs. The dehydrator is also very portable, weighing only 7.6 pounds and measuring approximately 15 x 12 x 12 inches. The dehydrator can be easily moved from one place to another because it is quite lightweight. If you need more drying space, you have the option of purchasing more trays. The temperature can be adjusted so you have some amount of control of the temperature at which your food items are dried. You cannot select an exact temperature for drying your food item. Because the heating system is below the trays, liquid from food being dried may fall into the heating system, and this may be a bit difficult to clean. With an adjustable thermostat, you have the option of choosing low, medium or high temperature at which to dry your foods. This is a clear advantage and makes this product worth considering, especially when you think of how reasonably well it is priced. The Nesco Snackmaster Pro Food Dehydrator FD-75A is designed to dehydrate a variety of food items. It has a top-mounted fan and a thermostat that can adjust to a wide range of temperatures to facilitate the drying process. Because of its great capabilities, there is no need to rotate the trays as the food item will dry right through. When purchased in its original packaging, there are 5 trays on which to place food for drying. The unit is very portable as it only weighs 6 pounds and has dimensions of 13 x 13 x 10 inches. You also have the option of expanding the unit by adding up to 7 trays by purchasing other compatible trays. The unit can be expanded based on the amount of space you need for drying. You can have up to 12 trays stacked at once. It is very lightweight so it is easy to move around. The flavors of different foods won’t mix. There is no need to rotate trays because all food items will get the same amount of heat. This means that it has very good airflow. The energy consumption may be high because of the wattage. As your food is dried, you can rest assured knowing that harmful light, which may affect nutrient content, is not entering the dehydrator. This is a very good feature of this appliance, and bonus features such as jerky spice packets and recipes definitely add value to this already premium product. Complete with 6 drying trays and the ability to expand up to 12 trays, the Presto 06301 Dehydro Digital Electric Food Dehydrator is able to dehydrate meat, poultry, seafood, fruits, vegetables and many more food items. 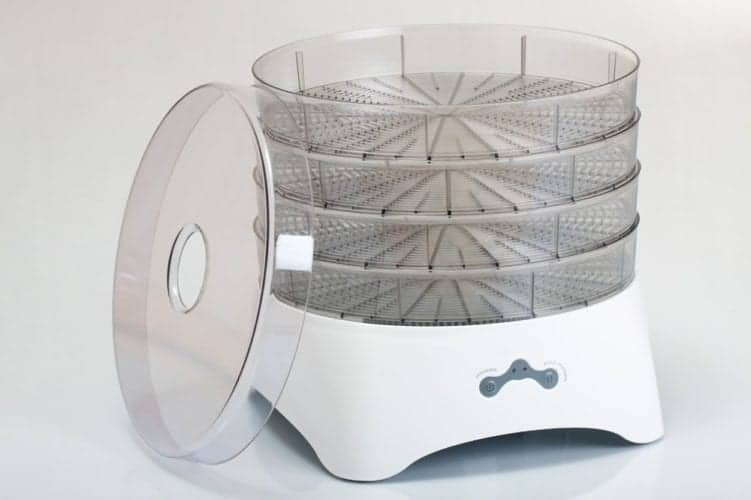 It is a deluxe digital dehydrator and it has a bottom-mounted fan with a heating element that provides consistent airflow for optimum drying. 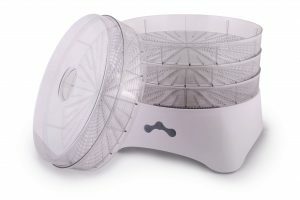 When you use this dehydrator, you do not have to rotate the food items, as they will dry right throughout. You also have the option of selecting a wide range of temperatures for drying as the thermostat can be adjusted from 95 – 165°F. The cover and drying trays can be washed in a dishwasher so you do not have to wash them manually. This will save you time. You can see through the top cover, so you can periodically check on the items that are being dried. The mesh screens are nonstick so they can be cleaned very easily. The temperature can be adjusted over a wide range so you can choose the precise temperature at which you dry your foods. A timer is present and can be used so you can give foods an exact time or know the approximate time an item takes to be dried. The dehydrator may be a little noisy while it is in use because of the heating and airflow system it contains. A distinct advantage with this dehydrator is the timer. You can always set the timer and know that the device will stop heating after a specific time if you have to leave it unattended. 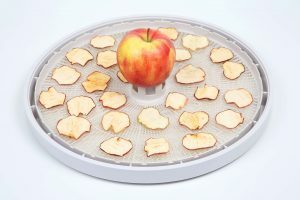 With other features such as the adjustable thermostat and the ability to wash the trays in a dishwasher, this dehydrator is definitely a good asset. With all of 10 drying trays included, the Excalibur 3926TB Food Dehydrator has just about 15 square feet of drying space. Available in a very sleek black color, this dehydrator comes with a 10-year warranty. It has a built in on/off switch and a thermostat that can easily be adjusted over a wide range of temperatures. To prevent foods from sticking, the manufacturer has also included a flexible poly-screen tray insert. This makes the cleaning process much easier. Using only 600 Watts of power and 110 Volts, this dehydrator is suitable for drying all types of food. It is great for large amounts of foods and is one of the biggest and best dehydrators available on the market. This product can accommodate many items at once for drying because it comes with 10 drying trays. It can be timed so you can keep drying foods unattended for very long periods with a guarantee that it is being timed properly. The timer can be set up to 26 hours. A wide range of temperatures can be selected because the thermostat is very adjustable. Food will not stick to the bottom because of the poly-screen tray. So food can be removed easily, plus the trays can be cleaned easier. Trays are BPA free, so there are no health risks to you. The dehydrator is quite heavy on its own, so it may be difficult to move it around. Overall, the Excalibur 3926TB Food Dehydrator is an excellent product. It is professional grade and can be used to dry a large amount of substances at once. 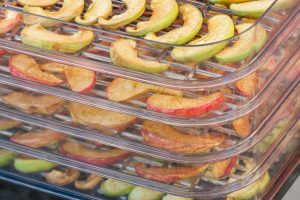 It is great that there is a poly-screen tray insert to prevent food from sticking as some foods tend to stick to the trays of other dehydrators very easily. The adjustable thermostat along with the 26-hour timer allows you to feel confident in the drying process. Sold in white or black, the NutriChef Kitchen Electric Countertop Food Dehydrator is able to dehydrate food so it can be preserved for extended periods of time. It is sold with 5 dehydration shelves but is expandable so it can contain up to 20 drying shelves at once. It weighs about 7 pounds and has a single button for easy use. Complete with a guide that gives instructions on how to use the unit, you are able to use this dehydrator for drying many types of food items. While in operation, the unit is fairly quiet and dries food in a reasonable amount of time. Being only 12 inches in diameter, it can fit easily in small spaces and won’t take up all your countertop space. The fairly small size also makes it easy to store when it is not in use. It has a power switch so you can leave it plugged in at all times if you so desire. It will only be turned on by the power switch. Because the trays are clear, you can easily see what is going on with the food as it dehydrates. You can choose how many trays of food you want to dry at once since you can stack up to 20 trays. Because the temperature is preset, you cannot change the temperature at which you dry food items. 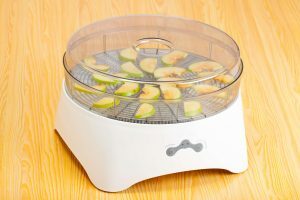 If you are looking for a dehydrator to dry your foods thoroughly and you are unconcerned about the temperature setting, this product is well worth considering. You can use it to dry small amounts of food as well as very large amounts. That’s quite a bit of versatility.